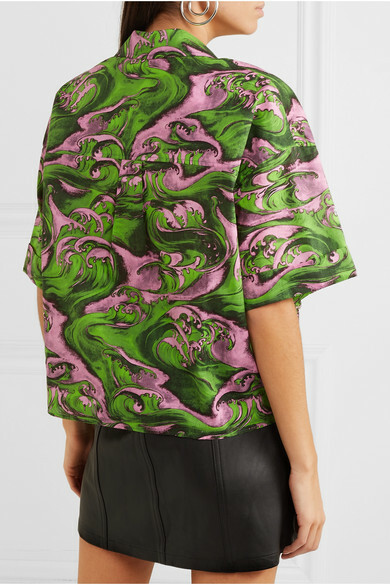 Cut from light cotton-poplin for a boxy shape, McQ Alexander McQueen's shirt is decorated with a kaleidoscopic marbled take on Katsushika Hokusai's iconic ocean waves. 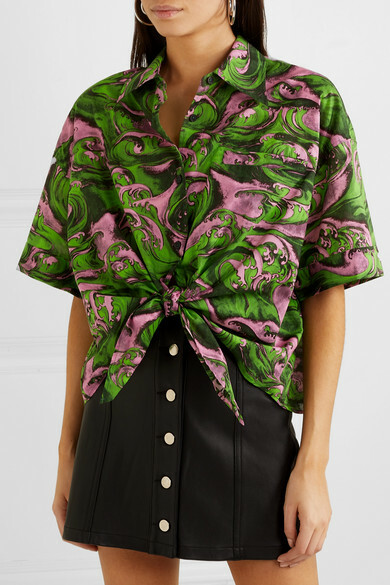 The cropped silhouette is balanced with oversized sleeves and a knotted front to show off a little skin. Wear it on vacation, or back in the city with high-waisted skirts. Shown here with: rag & bone Skirt, Proenza Schouler Shoulder bag, Proenza Schouler Ankle boots.